Personal genomic testing may have the potential to help each of us maximize our wellbeing by finding the right foods and supplements, as well as helping us to find our optimal approach to alignment and exercise. As a curious biohacker I was excited to see what Vitagene’s results would suggest. What would I discover about myself? An unknown aspect of my ancestral origin? The uncovering of a rarely seen, or even previously unsequenced gene? The possibilities were intriguing. 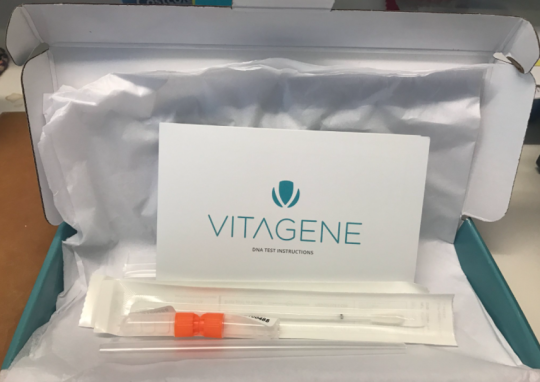 Vitagene’s process of genomic testing was easy and inviting. You follow a few simple directions and spit into the vials shown below. After this initial excitement about getting my results, waiting 4-6 weeks seemed like an excruciatingly long period to wait. But the day eventually did come. First I received my results in electronic format, and then I was surprised to also receive a beautifully displayed printed booklet in the mail (shown above). Unfortunately, there were no surprises looking at my ancestry results. As shown below, the map confirms what I already knew: my grandparents were from Russia. 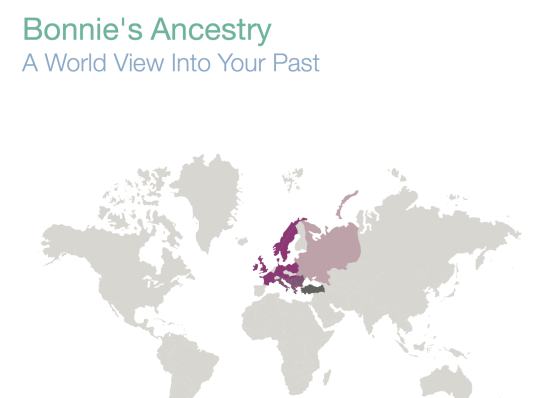 Although my ancestry was predictable, my Vitality Snapshot had some surprises. 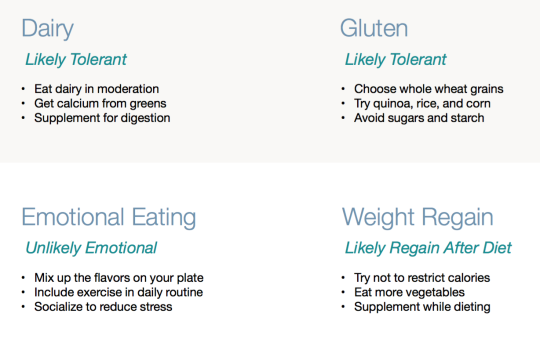 I am gluten sensitive and the Vitagene test suggests that I am likely gluten tolerant. It also displays some personalized suggestions for my traits, all based off a simple test. At the same time I may be low in Vitamin B12, but the test suggests that I have a tendency to high B12. However, it accurately reflects that I tend to be low in Vitamin D.
The exercise analysis was interesting and insightful. Vitagene looks at SNPs that affect your ability to build muscle strength, your metabolism’s response to activity and the your propensity towards endurance of power exercises. My DNA suggested that I am likely to perform well with a mix of endurance and power activities, but not likely to be interested in exercise routines. My most recent exercise pattern includes working out at The Bar Method 3-4 times per week for over 10 years. Although this class could be considered a mix of endurance and power activities, it is definitely an exercise routine, so I am puzzled by the outcome. My supplement recommendation shown above was helpful. It gave me a specific list of which supplements and which doses would be right for me. It made it easy to order the exact ones recommended for me in convenient daily packs. 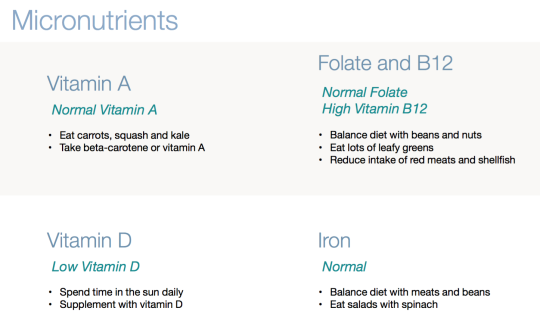 If I were new to supplementation, this could be a useful one-stop approach to get started. 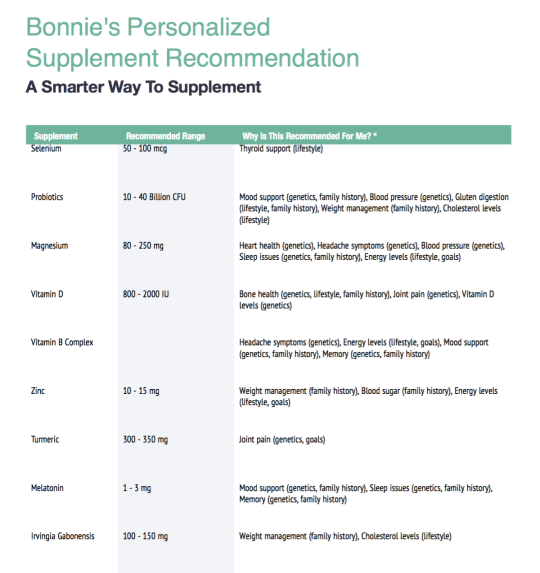 Yet, given that I have already seen several functional medicine practitioners, and I already have a “big bag” of supplements, I am not sure that these recommendations will change my current approach to supplementation. It will be interesting to see how my functional practitioner uses these results in my recommended treatment. Overall, I am impressed with the way the information is organized and presented, making it easy for folks to get started on their own journey of personal discovery to maximize their well-being. Previous postVegetables: A Diet Must-Have!